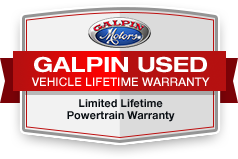 Serviced here at Galpin, Originally Sold at Galpin, NEARLY New VEHICLE AT USED Car PRICE newCarTestDrive.com explains "The shapely front seats are supportive and well-bolstered. There's good front headroom and legroom, while tall doors help make entry and exit easy. Forward visibility is excellent, thanks to a high driver's seat, abundant glass, and narrow roof pillars.". FUEL EFFICIENT 34 MPG Hwy/23 MPG City! SE trim. Superb Condition, CARFAX 1-Owner, ONLY 2,033 Miles!